An important part of the product development cycle is producing 3D CAD models of your design, models that are required for rapid prototypes, and then for tooling for your production parts. 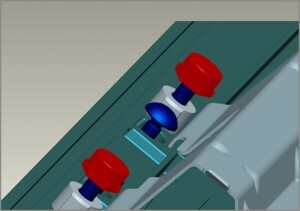 These CAD models may lower the risks of practical problems that might arise in real life, can be used for a variety of purposes such as geometry visualization, creating parametric based drawings, reverse engineering, generating complex tool paths, 3D analyses, and finite element analysis, calculating volumes, checking for interference, alignment, or doing rendered images for presentations. Pro Design Services can make parametric 3D solid models from your prototypes, drawings, or design, following your specified parameters, and offers to our customers the best skills and proficiency 3D CAD modeling. Our experienced team interprets your requirements and then provide solutions accordingly. We have an extensive experience in 3D Modeling, CAD Design and mechanical design solutions which ensures that you may use to help you get your projects done. If you are looking to outsource 3D parts and assembly creation, you are in the right place. We create any complexity parametric 3D models that can be modified and updated anytime.